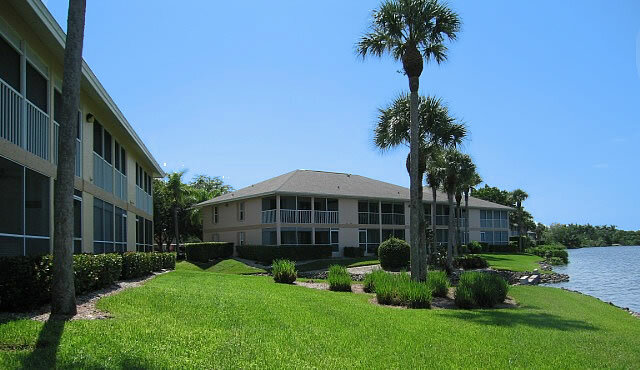 Marco Shores is one of the most well-known condo complexes in the Marco Island area. It is an extremely popular vacation community in general because of its wide array of amenities and great location. Located at 1375 Mainsail Drive and just north of Marco Island, this group of condominiums is just minutes away from restaurants, lively entertainment, activity centers, and shopping malls. Nicely Furnished Turnkey With Great View Of The Pool. New Roof And Impact Glass. For all information regarding to maintenance fees for Marco Shores condos, please contact us via email. The minimum rental period in Marco Shores is 30 days. A perennial favorite, Marco Shores condos are very easy to rent all season long. ??? ?Click here to see all Marco Shores floor plans. Just 1.5 miles from Marco Island and only 15 minutes to Naples, Marco Shores is conveniently located and is perfect for a honeymoon or any other special occasion. With truly magnificent and immaculate views, great year round weather and excellent facilities and attractions all within reach, this tranquil and secluded condo complex environment earns its well-deserved reputation as a preferred vacation rental community.